When you donate to Where Most Needed, your funds go to where the need is the greatest. This could be anything from scheduled building construction to unexpected expenditures. Either way, your donation will be making a huge difference in the lives of our children. Donations made to the Construction Projects fund go toward any buildings we need to build as part of the ministry. 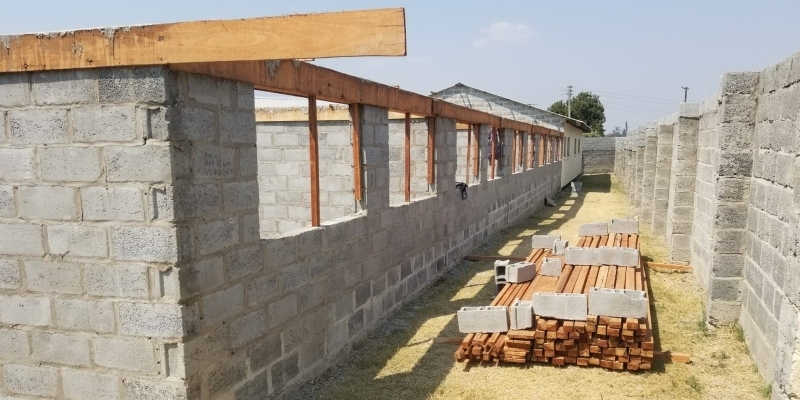 This includes buildings at the school, such as classroom buildings and solar projects, as well as any work done at the girls' boarding home. Dennis, his wife Jasmine, and their two daughters, Faith and Grace, live in Kitwe, Zambia, where they oversee the Lifesong Harmony School and the Lifesong Lodge and Roast Cafe. They are heavily invested in all aspects of the Lifesong ministry in Zambia, from the school to various sustainable business opportunities. Medical care is part of the child sponsorship program because we are able to provide healthcare through the clinic on the school grounds, but there are procedures that cannot be done at the school. Donating to medical care and supplies helps when our children need further medical care, and it also provides the medical supplies that our medical teams need. Use the donation form below to donate to Lifesong for Orphans (Canada). You can donate to any one of these four areas by selecting from the drop-down menu below.